← Proprietary or Open Products for Personal Learning Spaces? 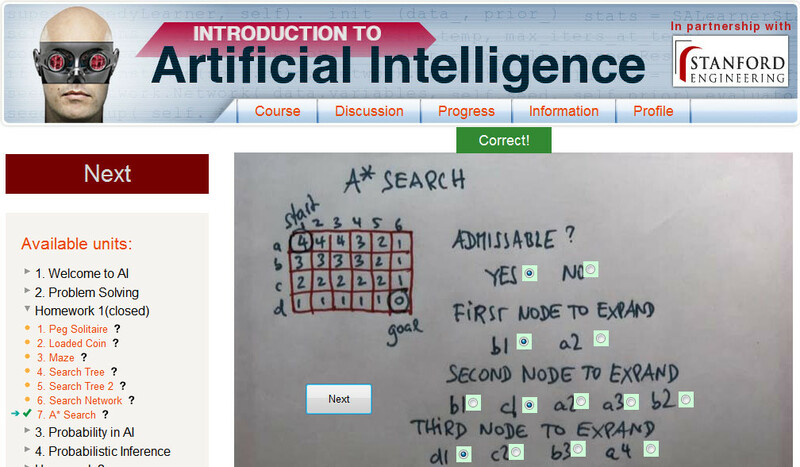 I am enrolled on the on-line Stanford AI Class… http://ai-class.com – along with 150,000 others – to watch how they present and deliver the “Introduction to AI” course, to see how the on-line assessment and quizzes work, and to see how student interaction with tutors and each other is arranged. Its been an interesting experience so far. Everyone seems to be enjoying the course and the community. The short video segments for each lecture are broken up with quizzes to check understanding as you go along. Often with check boxes and type in areas overlaid with the video material itself.